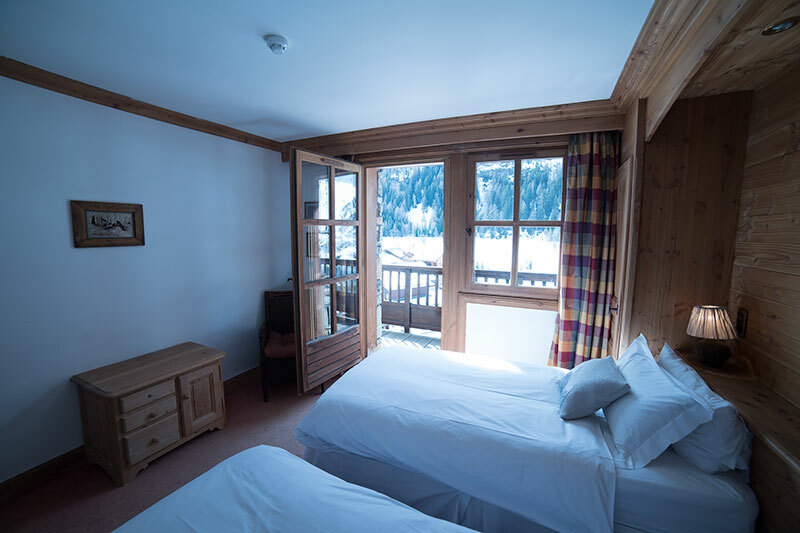 The spaciousness and high quality of all our en-suite bedrooms and suites is a key element of our success. 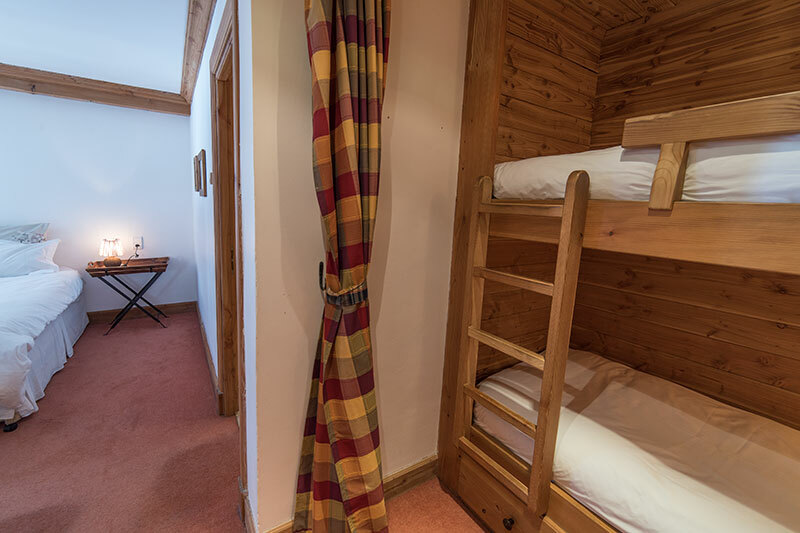 There are six double/twin en-suite bedrooms, three of which are family suites and have a children’s bunk area separated from the main bedroom. 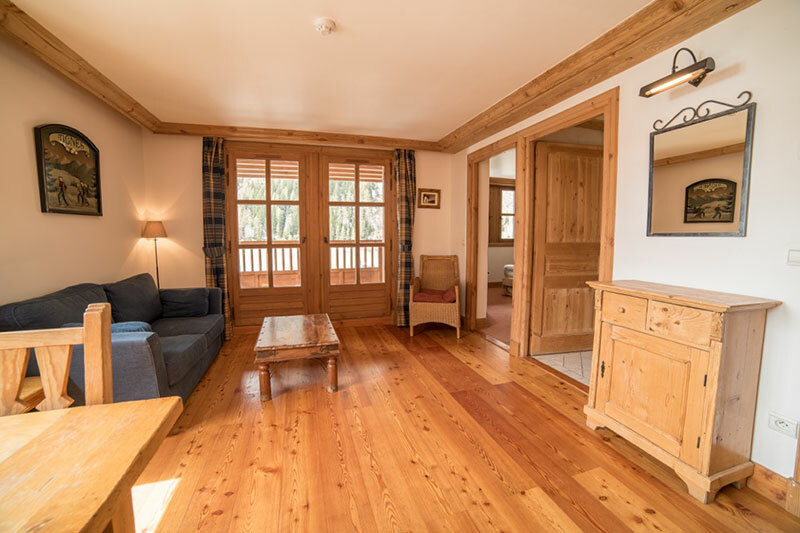 All rooms are traditionally furnished with every creature comfort, and when booked as a double room, the twin beds are locked together and made up to form proper king-size beds. For the ultimate in luxury accommodation we have the Master Suite, with a double bedroom, lounge, kitchen and children’s bunks. 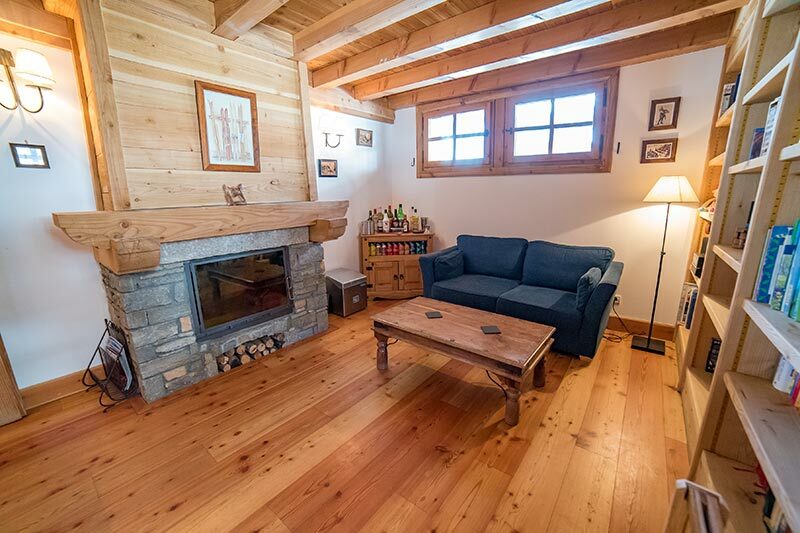 The chalet can accommodate groups of 12-18 people, and whether you are a group of families, or a larger party without children, you will be well accommodated at Chalet la Sache with the flexibility and variety of sleeping accommodation we provide. 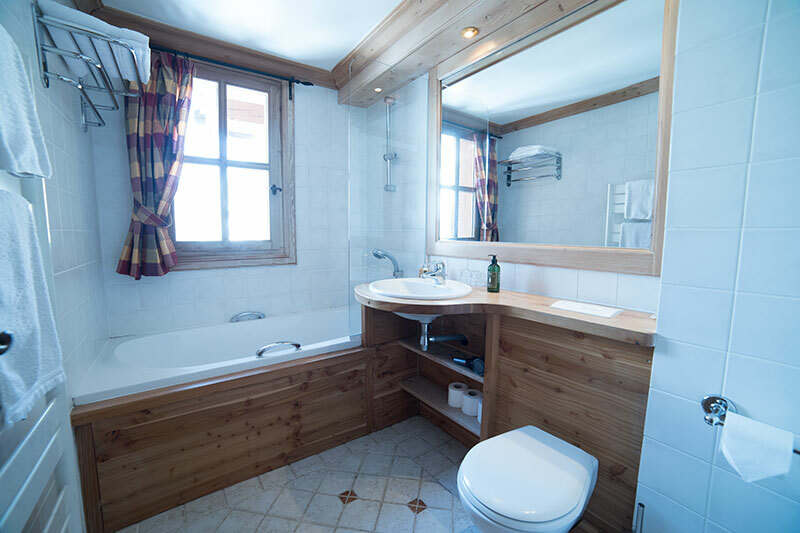 Most bedrooms have balconies, and all are south facing with magnificent views of the ski slopes, lake and imposing mountains and cliffs of Tignes Les Brevieres. Sleeps 2-6 using both bunks and sofa bed. Twin beds or king size double in main bedroom, ensuite. 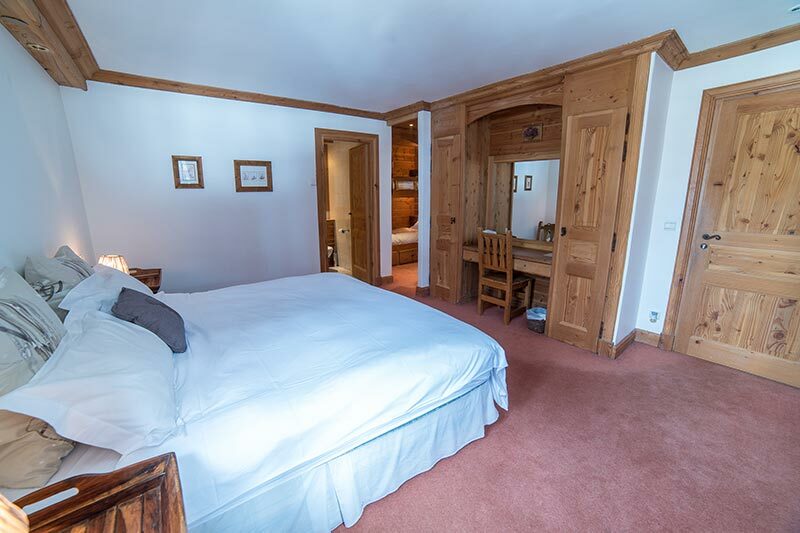 Sleeps 2 in double or twin beds, ensuite. 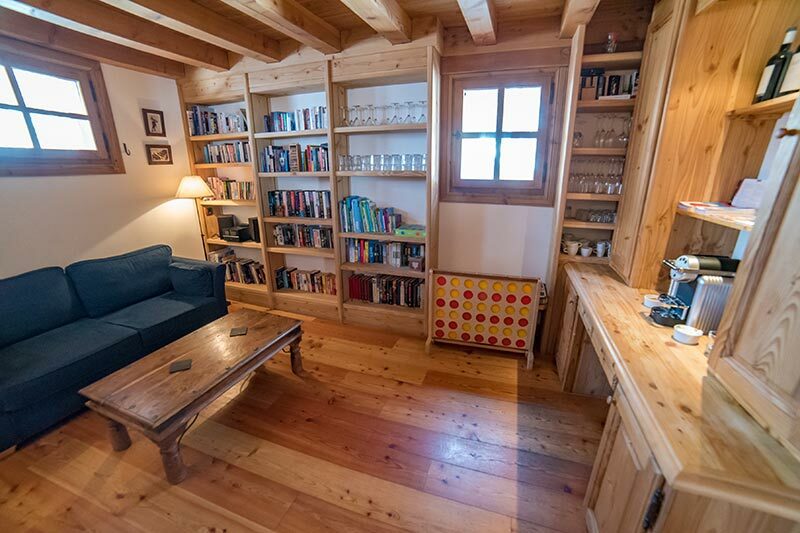 This is a truly wonderful room and generally is snapped up by the group leader. 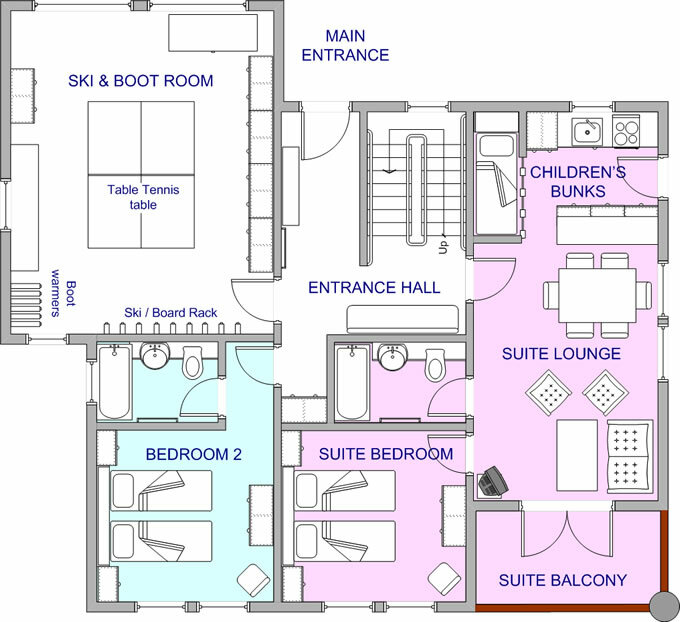 Sleeps 5 using both bunks plus & sofa bed if required for extra children (Shaded pink on the floor plan above). We can add an additional mattress. 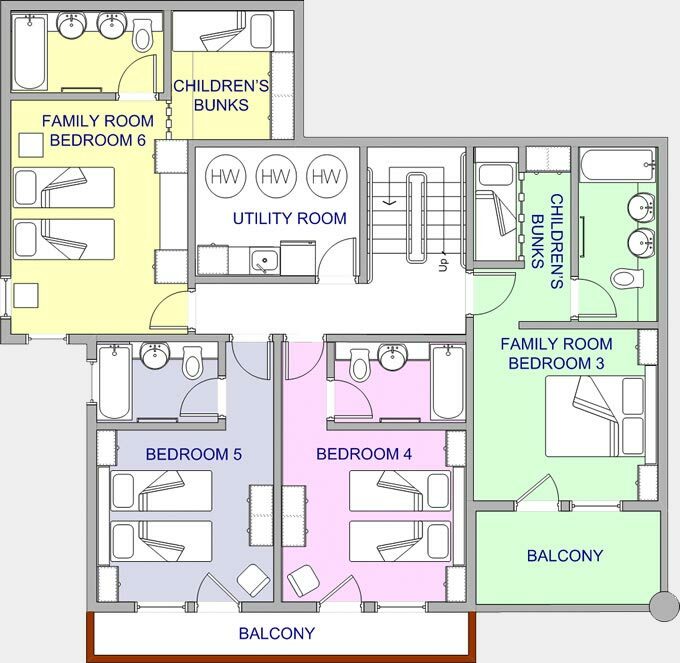 Two bedrooms are similar to Room 2 above (but with balconies) and two are family rooms with a double or twin beds (the twins lock together to form king-size doubles) plus childrens’ bunks. Queen size double bed (not twin) plus children’s bunks (separated from bedroom area), ensuite bathroom as detailed above, south facing balcony. 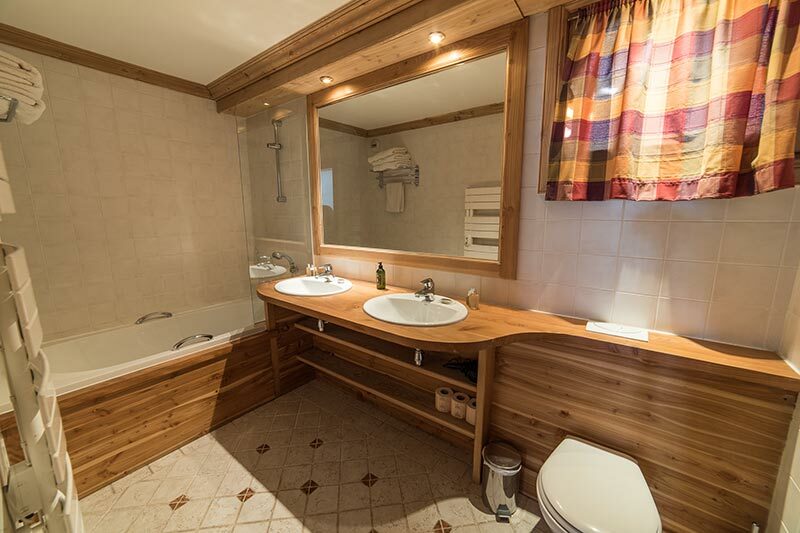 King size double or twin beds, ensuite bathroom as detailed above, south facing balcony. 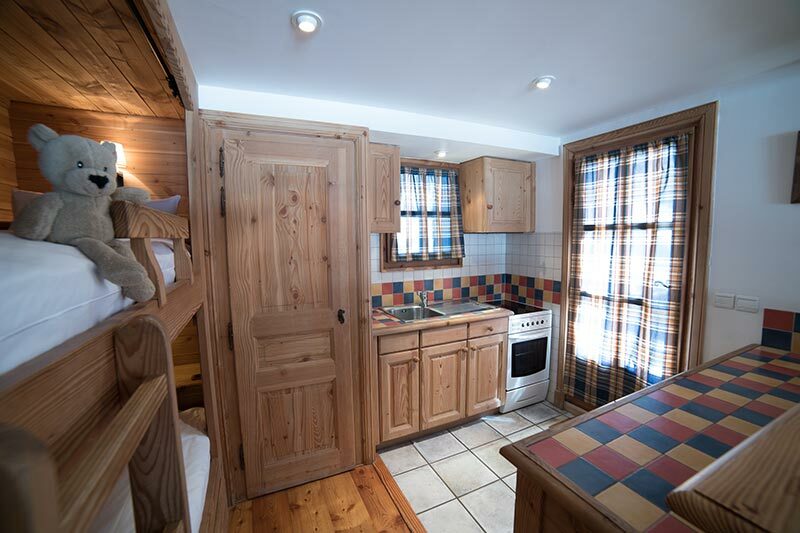 King size double or twin beds plus children’s bunks (separated from bedroom area), ensuite bathroom as detailed above.